Posted December 8, 2010 in Fantastic Four, Justin Van Genderen. 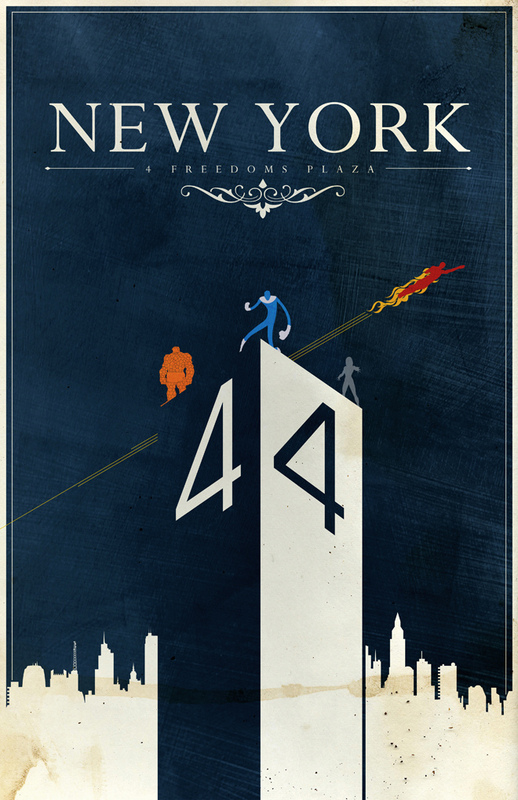 Although not strictly a Kirby creation, 4 Freedom Plaza has been home to the Fantastic Four since the mid-eighties, a fact celebrated by Justin Van Genderen in just one of a series of travel posters based on mythological comic book locations. Justin is a freelance graphic designer/illustrator based in Chicago and you can find comprehensive galleries of his commercial and personal work at his website, Flickrpage and the Behance Network.